ATVs changed the world of hunting by allowing hunters to reach otherwise inaccessible areas and carry gear with ease. With nearly limitless potential modifications in the ATV market, such as 4WD, various sizes and a myriad of storage options, using your ATV for hunting has become the norm among those serious about the sport. 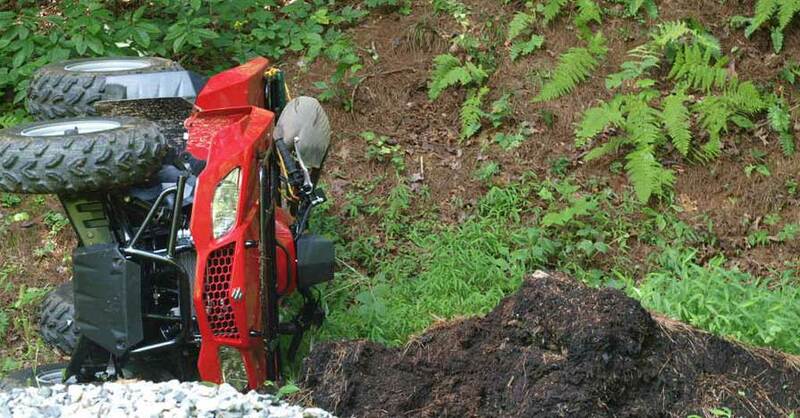 Here are some things to keep in mind before you spend some cash on a new ATV. With the larger size of today’s trail ATVs, even for childrens’ sizes, ride quality is important. You don’t want to get to your desired spot and be too tired to enjoy the hunt because you were busy wresting your quad through the woods. Considerations to mull over that improve ride quality are better tires, which provide more grip, a comfortable saddle, positioning of foot rests and handlebar design. All of these will give you a smoother ride that’s far more physically manageable. When it comes to handling, a hunting ATV needs a solid combination of traction, ground clearance and performance. 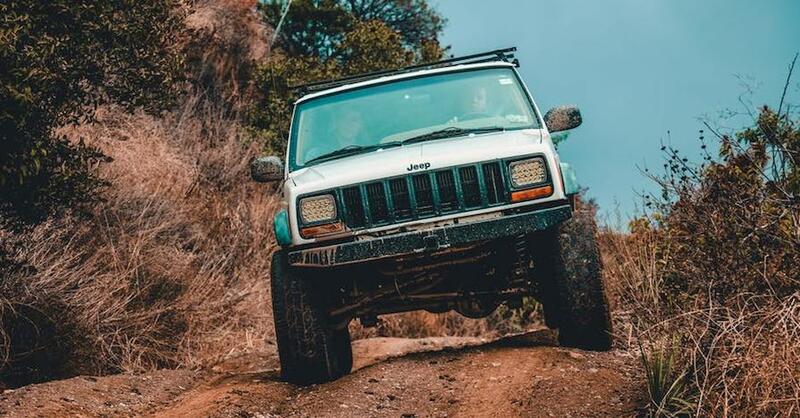 The suspension designs of ATVs run the gamut from double wishbone front ends with solid axles, which are great for climbing tough terrain and heading deep into the woods, to 4-wheel independent setups, which are great for quick cornering and plush rides but can’t handle the rocky passes and downed trees. Identifying the type of terrain you’ll be riding will help you decide which type is best for you. Aside from having to hear it yourself, the sound output of your ATV can scare off wildlife in the vicinity and be disruptive to other hunters along the way. When choosing the right quad for your needs, take the volume of the engine into consideration. There are also bolt on silencers that greatly reduce the noise level and replacement mufflers that can be installed and are even quieter. 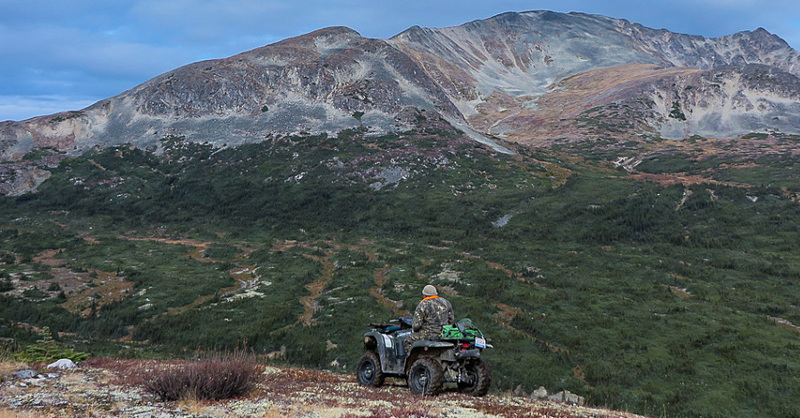 The sacrifice of quieting down your ATV is a small reduction in power output, but when considering the value of entering or passing through a hunting area quietly, they’re more than worth it. Along with special camo packages, many modern ATVs offer a variety of optional trail equipment. 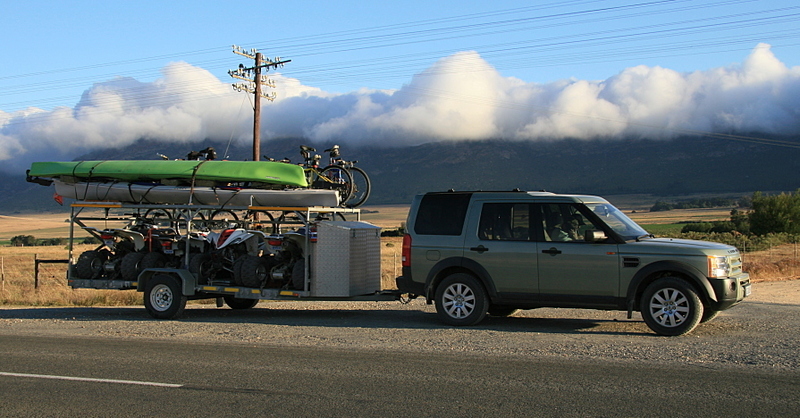 If you are planning on pulling a trailer make sure you find a quad that has a 3-point hitch. There are also options for brighter LED and HID headlamps in case you are arriving back to camp late, and winches and locking front differentials that can get you unstuck in a pinch. You also have the option for extended racks that can carry your game back to camp. 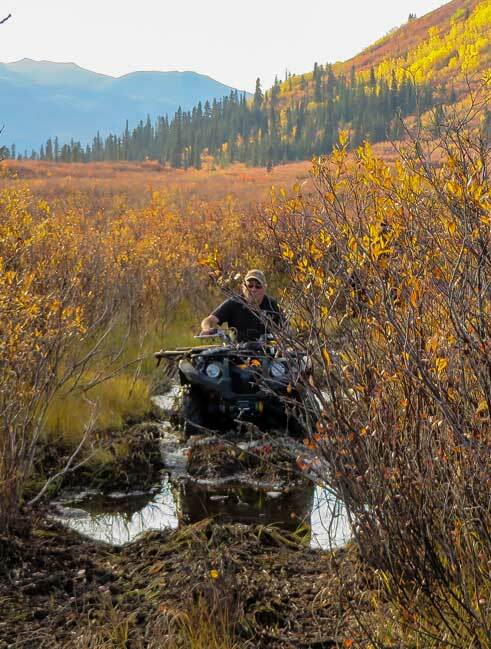 Who says that ATV riding or hunting has to be uncomfortable? 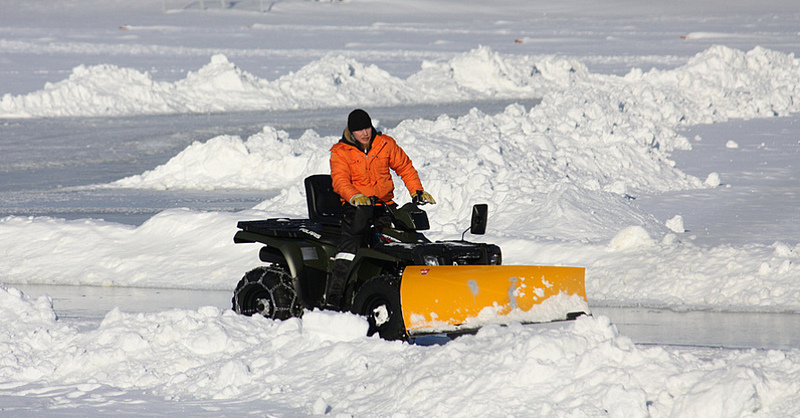 ATV manufacturers are packing their vehicles with everything from gun scabbards for safe transportation of your rifle, to waterproof storage options and even hand warmers for cold weather outings. You may also want to look for an ATV that is packed with extra storage pockets, more fuel efficient engines that run greener and LCD displays that give you your run time, range and location. ATVs have opened up the possible territory we can hunt in innumerable ways and offer a lot of options to fit your specific needs. With so much to choose from it can be tricky to make a decision. But when you factor in the dimensions of your hunting ground and various amenities, you can make a more informed decision and buy the quad that’s best for you. Check out all the motorcycle and powersport parts available on NAPA Online or trust one of our 17,000 NAPA AutoCare locations for routine maintenance and repairs. For more information on using your ATV for hunting, chat with a knowledgeable expert at your local NAPA AUTO PARTS store.